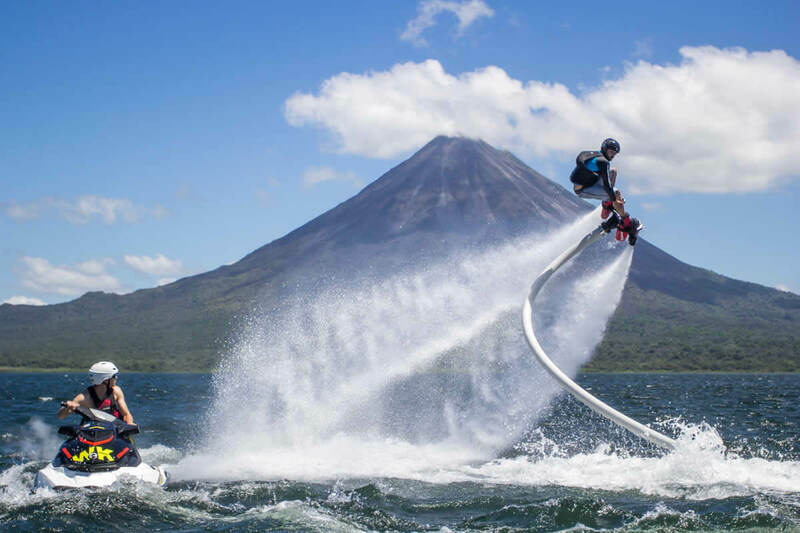 The fly board experience is truly one-of-a-kind. 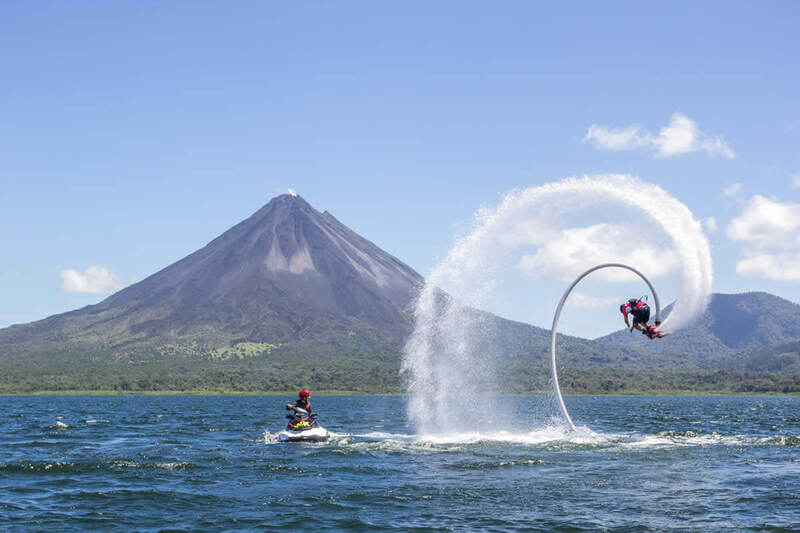 This adventurous activity allows you to shoot 32 feet (10 m) into the air and hover over the surface of Arenal Lake. 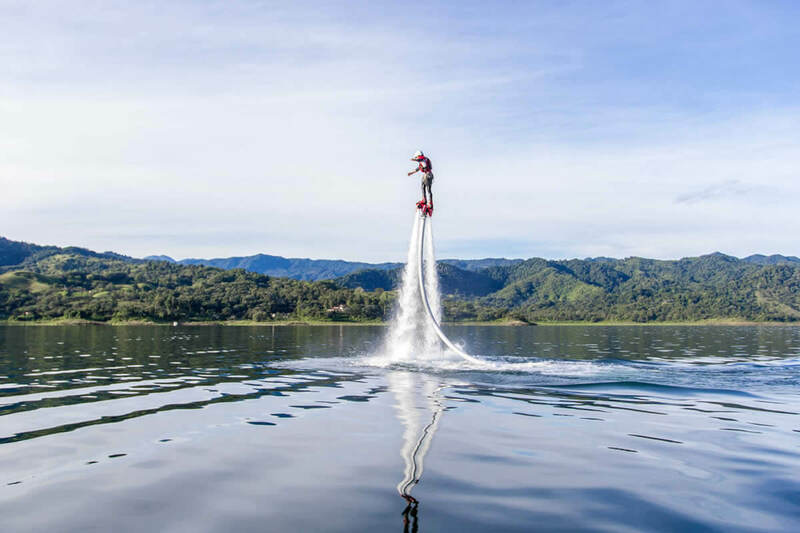 Participants stand on the easy-to-use fly board, and water propulsion sends the rider up, up, and away! 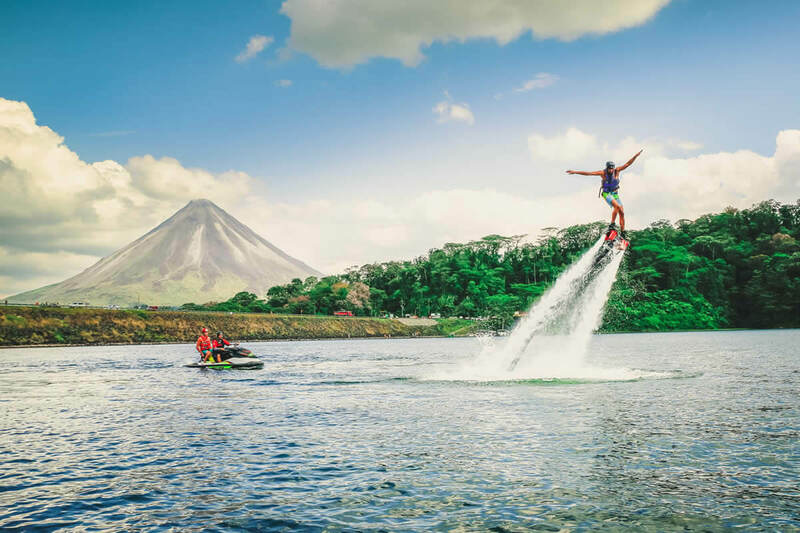 Arenal Lake provides a lush setting for this adventure. 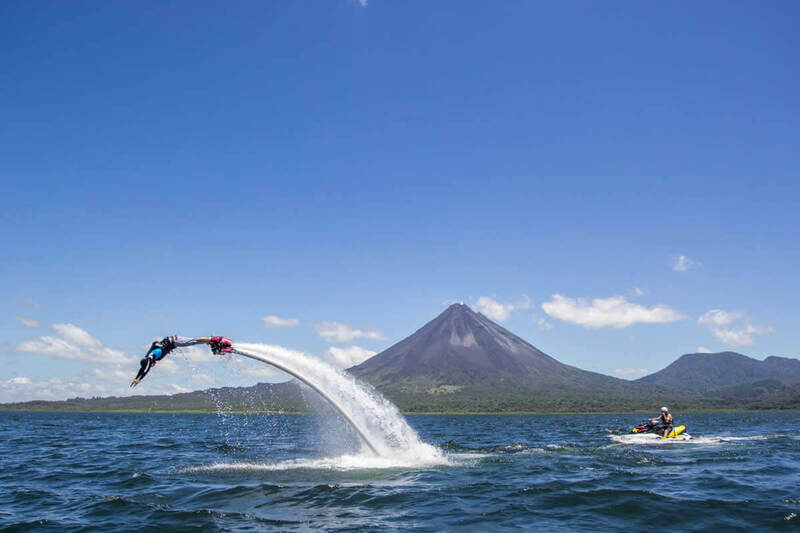 On your tour you'll see Arenal Volcano in the distance, shrouded in mist, and shores crowded with greenery. 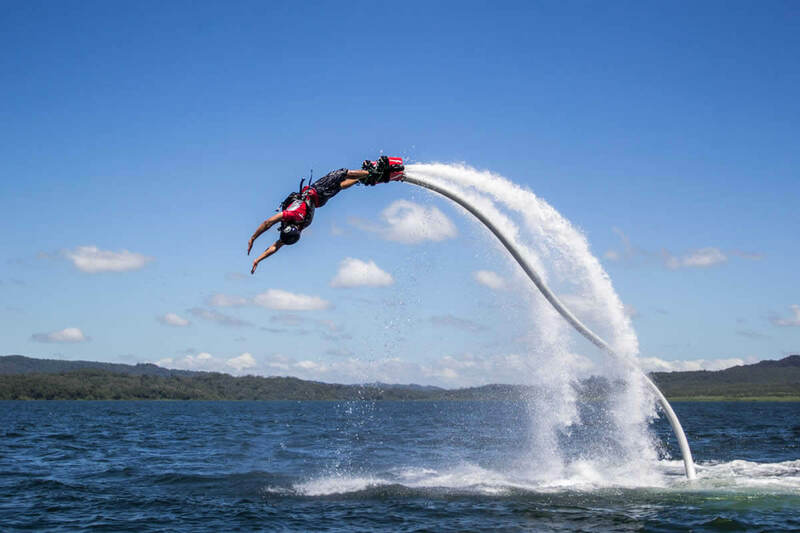 You'll find that the water isn't too cold as you swim back to the boat. 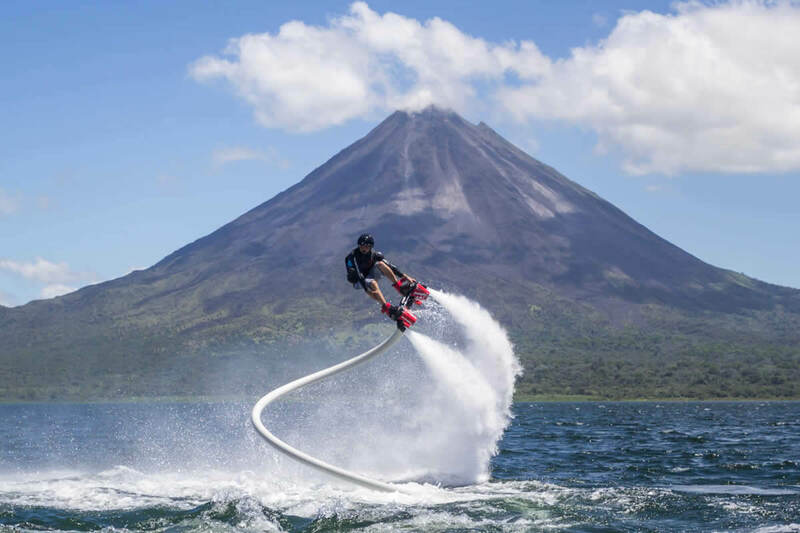 Your turn on the fly board will last 25 minutes. Before you begin, your instructors will give you all the information you need to feel safe during the tour. 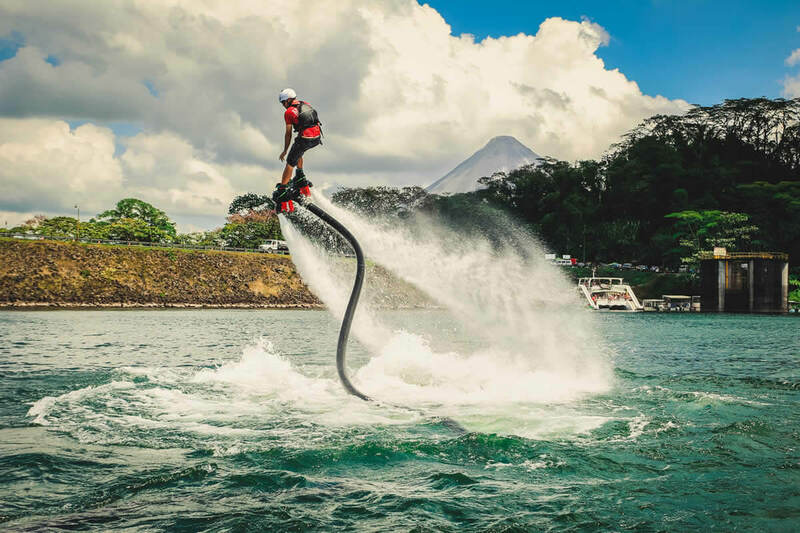 The fly board is very easy to use, and does not require experience or special abilities to operate — your guides will control the propulsion. Participants must know how to swim, and weigh between 100 and 165 lbs (45 and 120 kg). 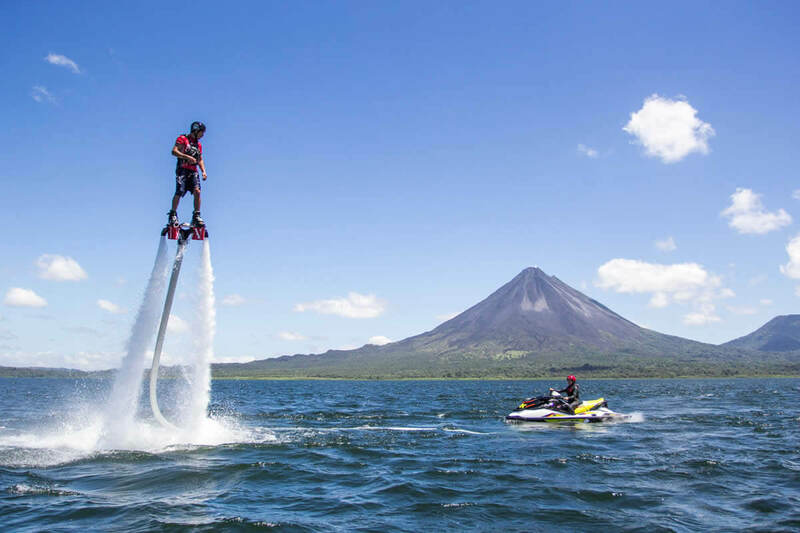 This tour is also only for people over the age of 12. 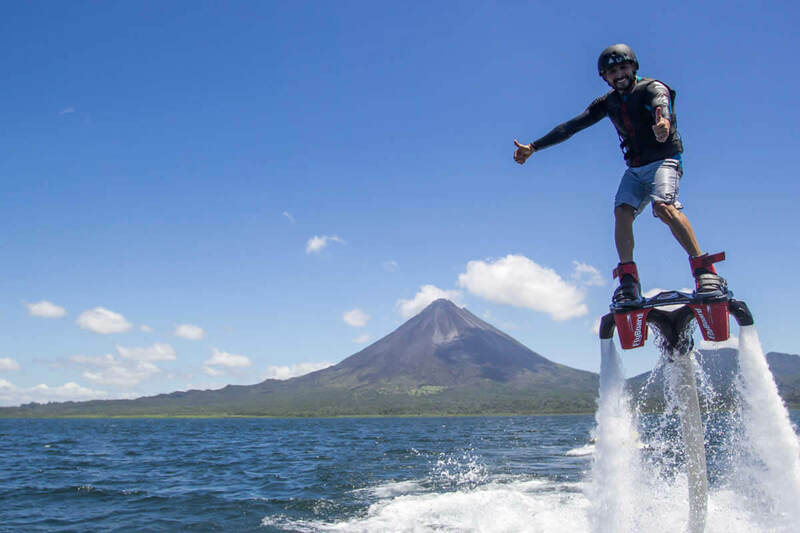 Instructors, boat ride, and equipment. Swim suit, towel, quick-drying clothing, water shoes, sunblock, and sunglasses.